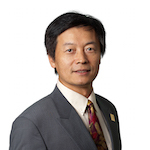 Dr. S. Joe Qin is Professor of at the Viterbi School of Engineering at University of Southern California. He obtained his B.S. and M.S. degrees in Automatic Control from Tsinghua University in Beijing, China, in 1984 and 1987, respectively, and his Ph.D. degree in Chemical Engineering from University of Maryland at College Park in 1992. He is a Co-Director of the Texas-Wisconsin-California Control Consortium where he has been principal investigator for 17 years. He is a recipient of the National Science Foundation CAREER Award, the 2011 Northrop Grumman Best Teaching award at Viterbi School of Engineering, the DuPont Young Professor Award, Halliburton/Brown & Root Young Faculty Excellence Award, NSF-China Outstanding Young Investigator Award, a Chang Jiang Professor by the Ministry of Education of China from 2007-2010, and an IFAC Best Paper Prize for the model predictive control survey paper published in Control Engineering Practice. He is currently a Subject Editor for Journal of Process Control, Associate Editor of the IEEE Control Systems Magazine, and a Member of the Editorial Board for Journal of Chemometrics. He served as an Editor for Control Engineering Practice and an Associate Editor for IEEE Transactions on Control Systems Technology. He is a Fellow of IEEE and Fellow of the International Federation of Automatic Control. Dr. Qin's research interests include big data, process data analytics, statistical process monitoring, fault diagnosis, model predictive control, system identification, multi-step manufacturing control, and control performance monitoring.